Ancient history and modern marvels come together on the continent of South America. It’s a destination where your mornings can be spent exploring ancient ruins, towering waterfalls, and wonders of the world, while your evenings may find you embracing the vibrant cultural rhythms of its cities and dining in world-class restaurants. 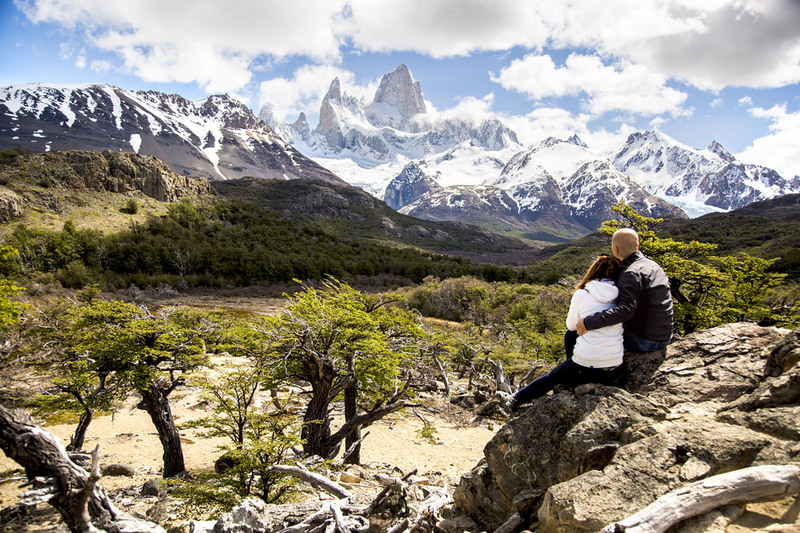 It’s a continent as diverse as the countries that inhabit it—and if you spend enough time in South America, you’ll discover everything from tropical rainforests to colossal glaciers—and amazing photo opportunities at every turn. When it comes to visiting South America, there really is no better way to see the continent than by cruising. After all, South America is a vast continent full of varied terrain that can make traveling long distances by car or bus a challenge. When you cruise with us, we take care of the transportation while you enjoy life onboard. Are you joining us for an upcoming voyage to South America? You’ll want to make sure you’re prepared for the trip of a lifetime! Here are our best tips for planning and packing for South America. Because South America is so large, the average temperature and weather can vary from one destination to the next, but in general, the best time to visit is from November through March. Seasons in the southern hemisphere occur at different times than in the northern hemisphere, which means this time of year roughly corresponds with the South American summer and autumn. With that in mind, it’s also worth remembering that South American topography plays a significant role in temperatures across the continent, so where you decide to go can be just as important as when you decide to go when it comes to packing. The further south you travel in South America, the more likely you are to find seasonal climates. In fact, southern Argentina and Chile have more in common with weather patterns in countries like Norway and Sweden than they do with their closer neighbors to the north. So while in Rio de Janeiro, Brazil you may encounter January and February temperatures that range from 75°F to 92°F, destinations such as Punta Arenas, Chile, will range from 60°F to 44°F. The folks at South America Backpacker have done a great job breaking down the best times to see individual countries across the continent, which we encourage you to check out. The important takeaway is this: be prepared for different weather at every stop of your voyage. When you cruise to South America with us, you’ll have opportunities to partake in unforgettable experiences. You can snorkel with sea lions in the waters off Patagonia, learn to surf on the beautiful beaches of Buzios, Brazil, and participate in a harvesting at the Pizzorno Winery (complete with tastings, of course) in Montevideo, Uruguay. Drive through the rainforests of Tijuca National Park in a 4x4, ride horses at the “End of the World,” and kayak through Lake Los Palos. You can even experience more with our Land & Sea packages that take you deeper into South America to visit Machu Picchu in Peru and Iguazu Falls in both Brazil and Argentina. What does this mean for your luggage? Well, it means your best bet is to pack clothing that is light, breathable, and easy to layer—so no matter the temperature or location you’ll be comfortable. Make sure you have durable luggage that is easy to organize—this will make packing even easier. We recommend the Bellagio 28" Steamer Trunk from Bric’s. A lightweight jacket is essential for your trip to South America, especially if you’re planning on trekking through national parks or visiting the penguins of Magdalena Island. To make sure you’re always comfortable and protected from the elements, we like the Ascender™ Hooded Softshell Jacket for men, and the Heather Canyon™ Softshell Jacket for women—both from Columbia. And since the temperature in some parts of South America can cool off at night—both on board and on land—consider packing a casual jacket or sweater for warmth, like this Foundation Wrap from Pana or the Navigation Shacket from Lululemon. If exploring is on your itinerary—be it on hiking trails or around South America’s urban centers—we recommend you pack a quality, temperature-regulating base layer. This will keep you dry when the weather gets warm. Patagonia offers comfortable, stylish base layers—including the Capilene® Lightweight crew for men and for women. For chillier areas of South America, consider a long-sleeve zip neck from The North Face (available for both men and women). Made of comfortable, breathable merino wool, this stylish half zip will keep you protected from the elements without sacrificing style. As an added benefit, these long sleeve tops can also protect you from the sun’s rays. Plus, they’re thin, which means they won’t take up much space in your luggage. Hikers will also want to make sure they bring proper hiking footwear for South America. Depending on the type of trails you’re planning on hiking and your experience level, there is footwear that is perfect for you. To help you learn more about choosing the right hiking footwear, The Adventure Junkies have put together this invaluable guide that we can’t recommend enough. Of course, it’s also important that you pack basic travel-friendly clothes for going ashore to visit South American cities and towns. Classic cotton tees (like the Pima Curved Hem Tee from Buck Mason) are your friend in South America, as they are easy to layer up depending on the temperature and your destination. You’ll also want to pack comfortable walking shoes like the New Balance Fresh Foam 1080v7 shoes for women or the Scarpa Mojitos for men for exploring cities and towns. Remember, if they’re new, make sure they’re worked in! Don’t worry about packing too light, as your Azamara ship includes complimentary self-service laundry facilities that you are free to use throughout your journey. While it’s easy to take one look at Carnival in Rio and think anything goes when it comes to South-American style, much of the continent—especially outside of the major cities— tends to dress fairly conservatively. It’s worth keeping this in mind when you’re packing. Finally, while entirely optional, we always like to encourage guests to pack some fancier clothing as well. It’s always fun to dress up for a nice dinner out (or onboard your Azamara ship!) and to get a photo of yourself and your travel companions dressed to the nines for your photo album. Consider bringing something white for our signature Azamara White Nights aboard the ship. You can find helpful additional packing information for your cruise here. Are you ready to book your trip to South America? Start by browsing our upcoming South American itineraries here.